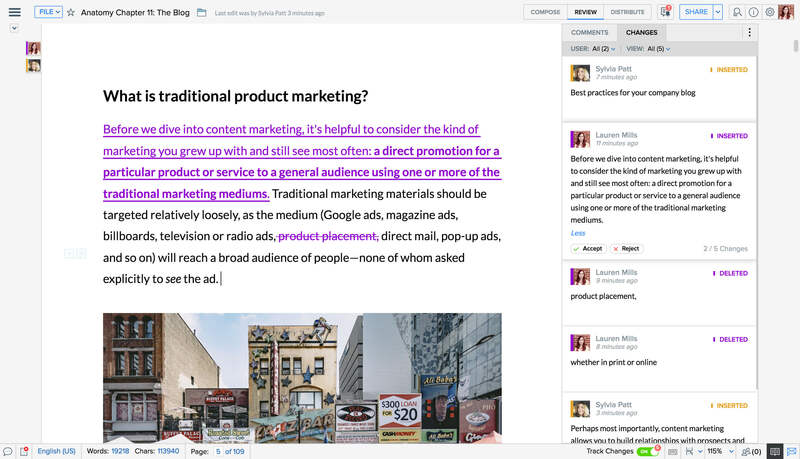 Engage in contextual discussions within a document, rather than smoke signaling in email threads and chat groups. 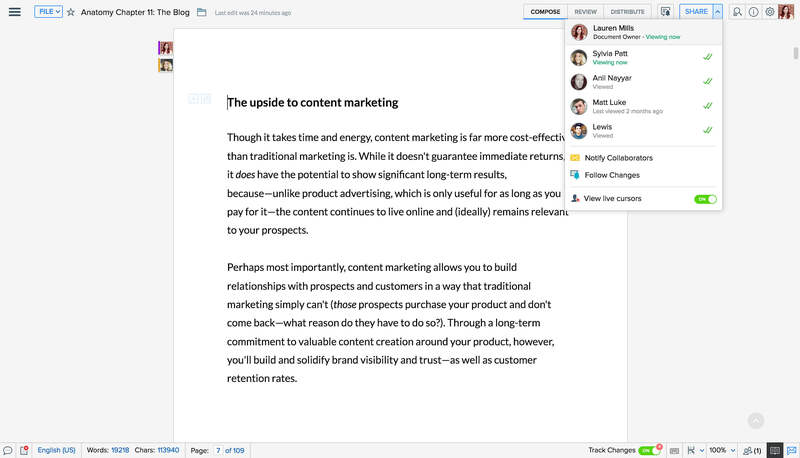 With Writer, it's just easier to make sure your whole team’s on the same page. Writer organizes suggestions and edits so well, it'll quickly become your team's go-to tool for collaborative writing and editing. A great conversation-starter. A great way to organize feedback, ideas, and discussions within your documents. A must-have tool to stay in control of edits. See who changed what, and when. Accept or reject edits one by one. Nobody knows everything. Everybody knows something. Control who can see what, and what they can change. Writer's privacy settings keep co-authoring secure and under control. Hide sensitive information from specific collaborators. Lock blocks of text you don't want to be altered. 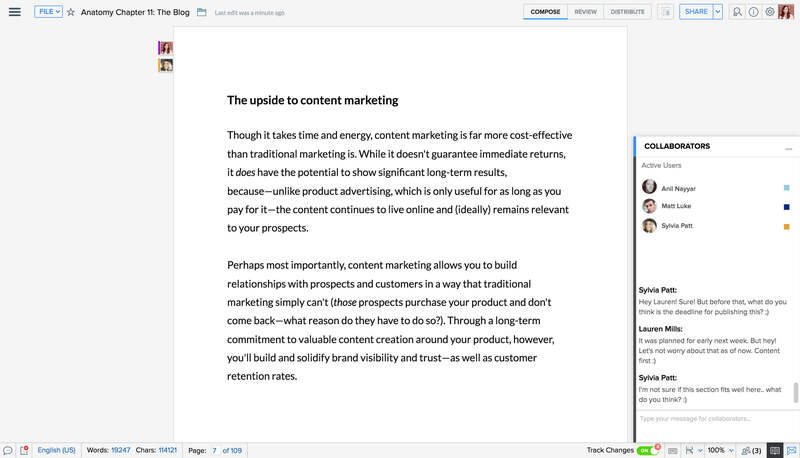 Quickly identify where your collaborators are in a document and start a conversation from within Writer. 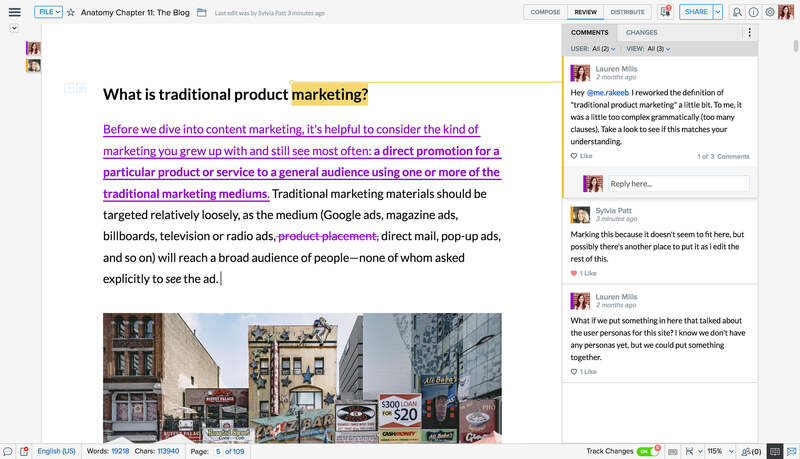 Talk to collaborators in realtime, while they're working on your document. Learn which of your collaborators have viewed the document, and when. 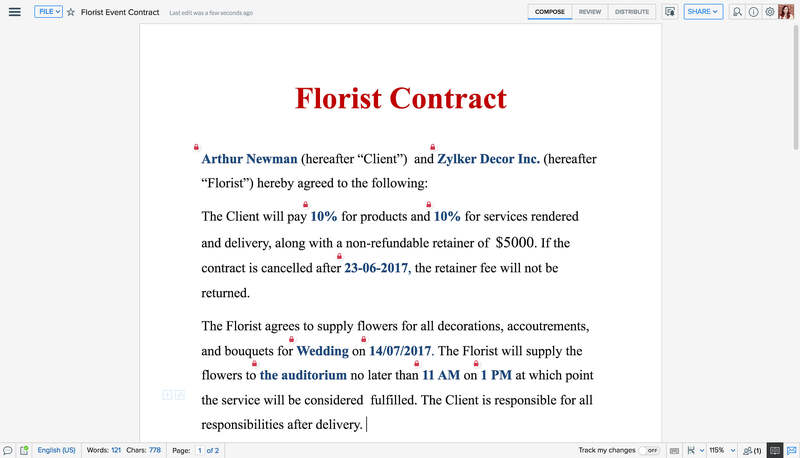 Get right to the point by locating which part of the document your collaborators are currently at. Writer is just one of 40 apps in the ever-growing Zoho ecosystem. Each one is designed to help you run your entire business on the cloud. This close-knit integration means you can quickly go from working together on project documents on Zoho Projects to creating a knowledge base for your team on Zoho Connect.